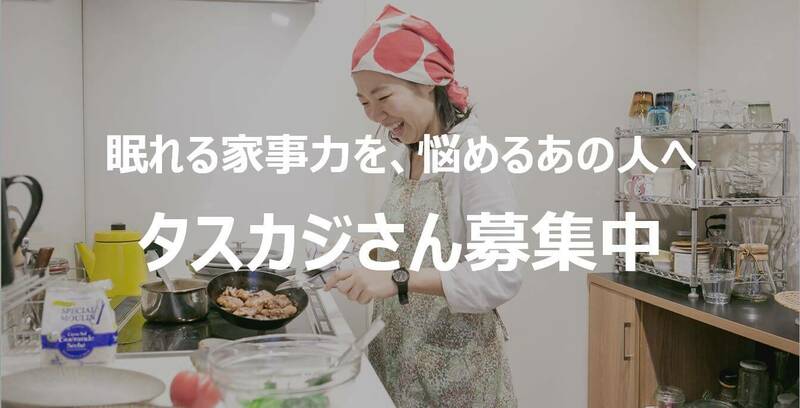 TASKAJI is a sharing economy platform where highly diverse and properly screened housekeepers (=TASKAJI-san) and people who are looking for a housekeeper. You can choose your own housekeeping-partner based on review and profile from among more than 300 housekeepers. TASKJI provides a matching place of clients and housekeepers. 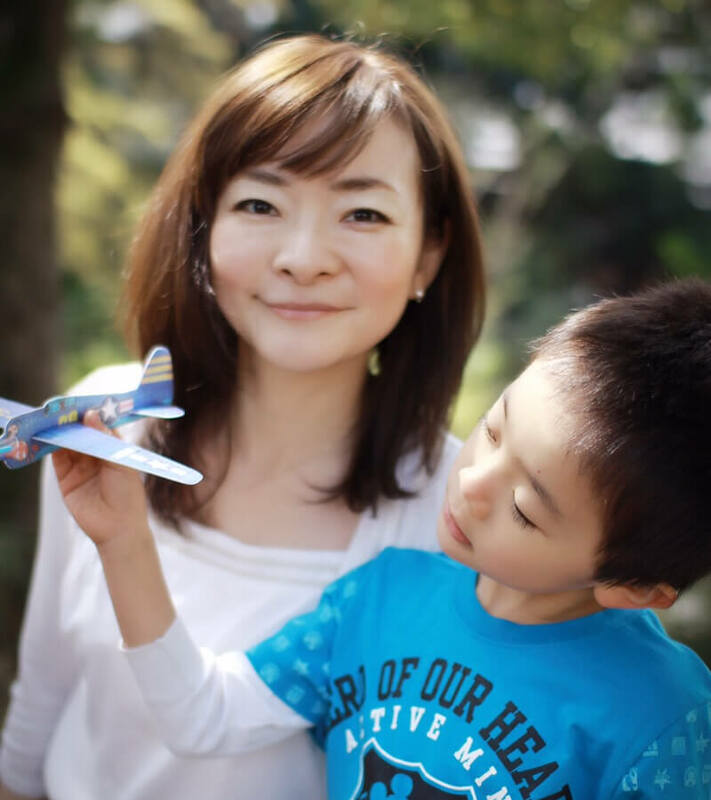 Through your experience of perfect match, let's find the new scope of family. You can contact housekeepers without a housekeeping agency so it is easy to explain your needs and customize in detail. Find housekeepers that meet your requirements while comparing reviews. No initial fee. No registration fee. You can start it like a free trial. No agency fee. Contract will be made personally between you and the housekeeper. It allows reasonable price for you, and high wages for housekeepers. Cleaning, cooking, and even pet care and child care… request all together without any additional fee. Pet care (*2) , You can discuss with your housekeeper and try different things. *:TASKAJI-san’s workload will vary depending on the priorities of the request, degree of dirtiness, and layout of the house, etc. Background of TASKAJI-san is full of diversity! Some are housewives who love homemaking and have finished child-raising. Others are nutritionists, chefs, tidying consultants, and Life Organizers. Sign up with an e-mail address and a password. You will receive mail magazines with valuable information such as introduction of new TASKAJI-san. TASKAJI-san works for three hours at a time (no more or less). You can choose a starting time of 9:00, 13:00, or 18:00. *You can modify the starting time back and forth max 2 hours, when TASKAJI-San accept it. If you'd like to modify the starting time, please ask TASKAJI-San via message system. In case TASKAJI-san decline the time change and you'll cancel the request, no cancel fee is charged until 72 hours from starting time. We suggest that you should stay home for the first visit. You and TASKAJI-san can message each other prior to the visit. Service rate varies depending on wage set by TASKAJI-san and whether you are ordering one-time or regular scheduled service. *This is price per hour. *Price includes tax. Transportation fee is NOT included. TASKAJI is “housekeeping sharing service” which was launched in 2014. I was a full time working mother and I found this needs of this service through my own experience. Nowadays the number of double income family is increasing and many families try to solve the problem of lack of manpower for housework by themselves. As the result, the burden of housekeeping is on female’s shoulders mainly and it will prevent for female to have career up, relaxed lifestyle, and having quality time. In order to let them have better work–life balance, housekeeping sharing is required. It may between partners and families, and also outsource is other option. Outsource housekeeping was not common in Japan and was not very easy. I wanted to make a safe system which people can easily get high quality housekeeping service with reasonable price like overseas. That’s why I made this TASKAJI service. Q1. Where is the service area? Currently the service area is East Japan (Tokyo, Kanagawa, Chiba, Saitama and Yokohama) and West Japan (Osaka, Hyogo, Kyoto, Wakayama, Nara, Shiga and Kobe). There are some areas no service is available even in the service area. We are planning to expand the area. To check whether there are any TASKAJI-sans available in your area, just input your closest station’s name in the search box. Q2. How about service hour range? Each service will be in 3 hours. If you want to use over 3 hours, you should order contiguous two block. You chan use shorter than 3 hours, but there is no discount. Q3. How is the price set? Taskaji-san selects the price from among three kinds of price category. 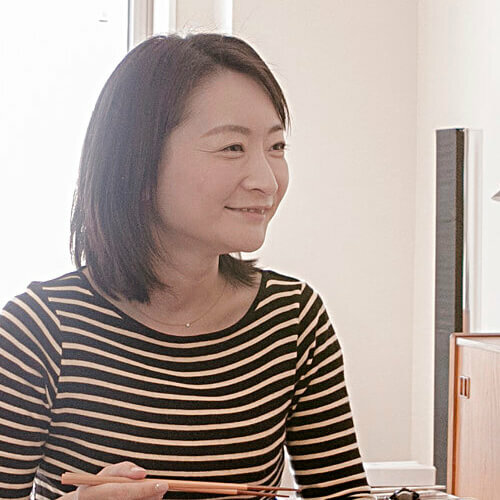 Taskaji-san's pricing is initially restricted, and the maximum amount that can be set increases gradually with the number of reviews, the average value of reviews etc. Q4. Will it be beneficial if I ask the same Taskaji-san on a regular basis? There are "Spot" and "Regular (Weekly | Bi-Weekly)" on request, and requests for "Regular" can be used at a reasonable rate than "Spot". Q5. Is transportation fee included in the price? Please pay transportation fee directly in cash. Transportation fee will be automatically calculated and displayed in the detail of the request so please pay in cash to Taskaji-san after work. Q6. Service hours are fixed? Yes, there are 3 time ranges. Each service is 3 hours fixed. It is possible to change the start time around 2 hours. Please send a message to Taskaji-san individually after sending the request and adjust. However, adjustment beyond 2 hours can not be done. Please be aware, In case the requested time zone and work time zone does not overlap for 1 hour, it will not be covered by damage insurance. Q7. What job category can we ask? Cleaning, organize, laundry, shopping, cooking, cook ahead, pet care (inside) and child care (parents accompanied). Each TASKAJI-san’s available job category is different, so please check in each TASKAJI-san’s profile page. Work at high altitude, dangerous work, outdoor work are basically excluded. Q8. What types of people are registered as TASKAJI-san? 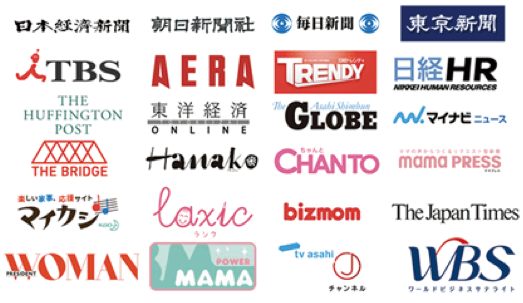 Various background people are registering such as those who have long experience as a housewife, qualified persons such as nutritionists and cooks who were engaged in catering professionals at nursery schools and school lunches and restaurants, those from the Philippines who are already working as housekeepers or English teachers in Japan, international students from overseas and office workers who like housekeeping. Q9. For the TASKAJI-san’s registration, do you conduct any interviews or trainings? Yes, we conduct 2-hour interview and orientation; at that time TASKAJI office check ID and VISA status. After the self-training with training video, we conduct 3 hours on the skill checking at the test center and test center will put the first review. Q10. What should we prepare to receive TASKAJI-san? TASKAJI-san will use your cleaning items and will not bring any special equipment or cleaners with them. (Link to an example of the product). Q11. For what will the damage insurance be applied? 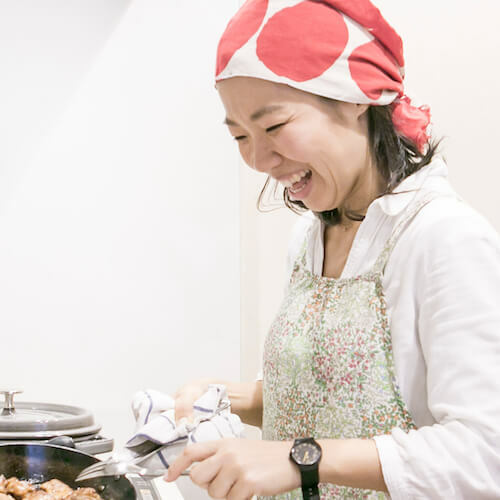 It will be applied to the damage of property and people hurt by TASKAJI-san in the service hours of the TASKAJI service category (cleaning, laundry, shopping, cooking, pet care (inside) and child care (parents accompanied). Maximum amount the insurance will pay is 10 million JPY for property and 100 million for people hurt by TASKAJI-san. Q12. Until when can we make the reservation? Up to 72 hours prior to the starting time is available for making reservations. There is 2 type of cancellation charge. *Example: Order start form Saturday AM9:00, cancellation after Wednesday AM9:00 will incur. You can cancel Weekly order 2 times, and Bi-Weekly request once in every month without charge. This charge amount is set for the difference between onetime request and regular request. Q14. Can I get a trial? There is no trial menu but there is one time order. Why don’t you try 2-3 TASKAJI-san to see how they are? If you like one of them, make the regular request (Weekly or Bi-Weekly) to her for constant requests with more reasonable price. Q15. Can I ask housekeeping service while I am out of home? Yes only if your TASKAJI-san agrees. It’s highly recommended to build trust first with several orders. If the TASKAJI-san loose the key which you leave her and have damage by third parties, it cannot be covered by the damage insurance. Q16. Are there any recommendations for the security? Please keep and lock valuable items* in the safe with your responsibility in order to prevent troubles. Q17. How can I communicate about the menus? At the time of making request, you will select “Cook ahead" as the work content. After requesting, you can consult about the contents of work with the message function in request detail page. Depending on Taskaji-san, we may not be able to respond to all requests. Q18. What should I do if I want to work as Taskaji-san? As the number of double income households increases, the needs of housekeeper is also increasing in Taskaji. Therefore we are recruiting housekeeper (Taskaji-san) at all times. Please come to the briefing session/interview first. Since we are holding regularly, please do not hesitate to apply from here.